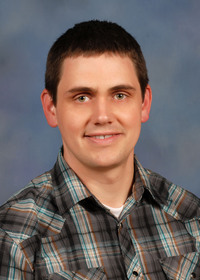 The information presented on this page was originally released on March 30, 2015. It may not be outdated, but please search our site for more current information. If you plan to quote or reference this information in a publication, please check with the Extension specialist or author before proceeding. After living in the North, I miss some of my favorite spring and summer plants as I now live in coastal Mississippi. Columbine is one I miss, as I love the way the flowers seem to be suspended in midair by the slender stems as if floating on a gentle breeze. In my opinion, you need a columbine regardless of where you garden. Columbine can grow in Mississippi if you treat it as an annual because of our shortish springs and long, hot summers. Columbine foliage is attached to the plant by long petioles. The trifoliate, blue-green foliage reminds me of the lacy fronds of maidenhair ferns. But it is the flowers that have the greatest landscape impact. The flowers are interesting, with colors ranging from purple and blue to yellow, white and red. Columbine bicolored varieties of red and white, red and yellow, and blue and white are spectacular. The flowers are usually slightly nodding. A fantastic series of columbine for Mississippi is the Swan, with its wide range of vibrant, bicolored flowers. These plants are so good that our neighbors to the west named the Swan columbine as Louisiana Super Plants in 2011. It’s best to plant smaller plants in the fall, but you can plant larger plants now for instant garden WOW. A notable feature of the columbine flower is the spur -- resembling an eagle’s claw -- that is attached to each of the five petals. 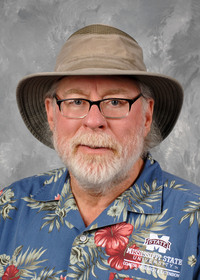 They are thrust backward and create a counterbalance that allows the flowers to nod and bob with the slightest breeze. The spurs contain nectar used to attract pollinators. Though these plants look fragile, they really are tolerant of many environments. 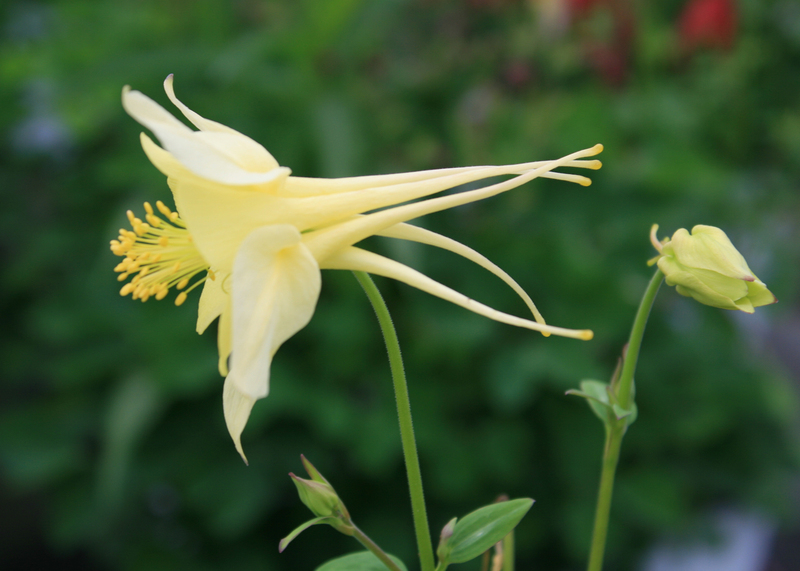 Columbine thrives and flowers profusely when planted in full or partial shade. In my previous gardening experience, this plant likes good loamy to gravelly soil, and a rock garden is its favorite. Columbine is a reseeding perennial. In past years, columbine growing in my garden produced new seedlings each spring around the original plants. Reseeding is a nice trait, as columbine should be treated as a short-lived perennial. I am sure there were times the original plant did not make it through the winter, but I produced so many seedlings that it did not matter. The extra plants are easily thinned, and when you give them away, you’ll make friends in the neighborhood. 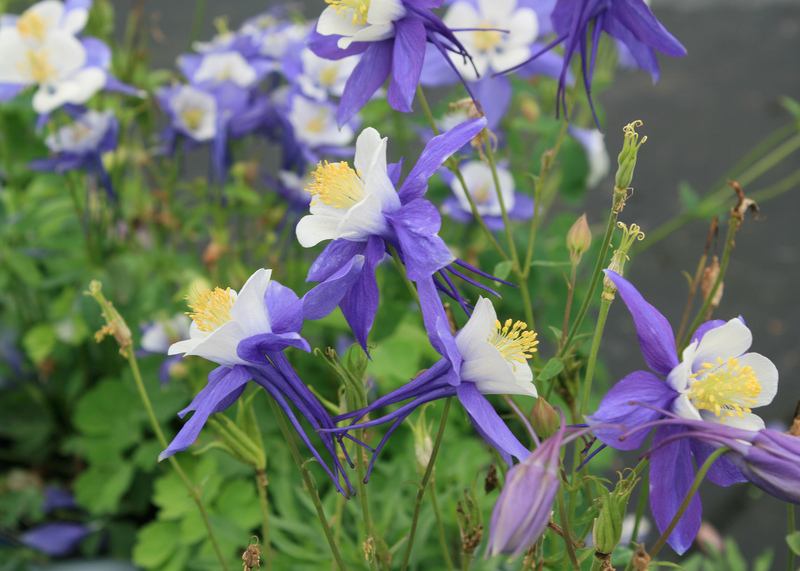 Most of the columbine plants, such as the Swan series available at garden centers, are improved hybrids. They have been selected to display the biggest and brightest flowers. However, there are several other columbine species that are landscape worthy. While plants may not be available at garden center, you can easily grow them from seed sown in the fall. Check out the varieties available in the many seed catalogs gardeners get this time of year. Not only does the columbine add beauty and interest to the landscape, it also attracts wildlife. The brightly colored spurs are filled with sweet nectar and are magnets for hummingbirds and butterflies. 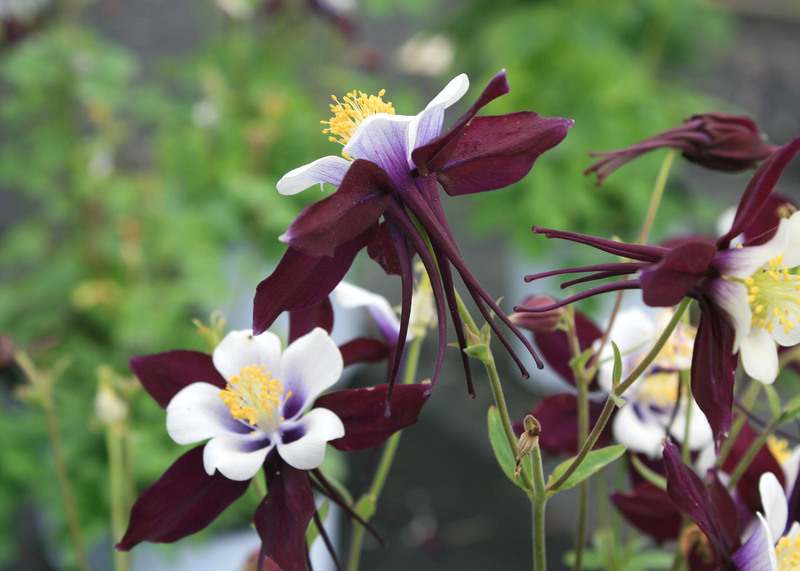 If you are looking for a new plant to try out in your landscape this year, consider one of the many beautiful colors of columbine. I don’t think you’ll be disappointed.